This princess door hanger is ideal for a little girl who loves to dance! It will look very pretty on her door and she will love to receive it as a gift. The door hanger is double sided so is very thick and robust. The design features a pretty little ballerina, with the text ‘Do not disturb! Ballerina rehearsing!’ on one side and ‘Please enter! The performance is about to start!’ on the reverse side. All girls will love displaying either side on their bedroom door! 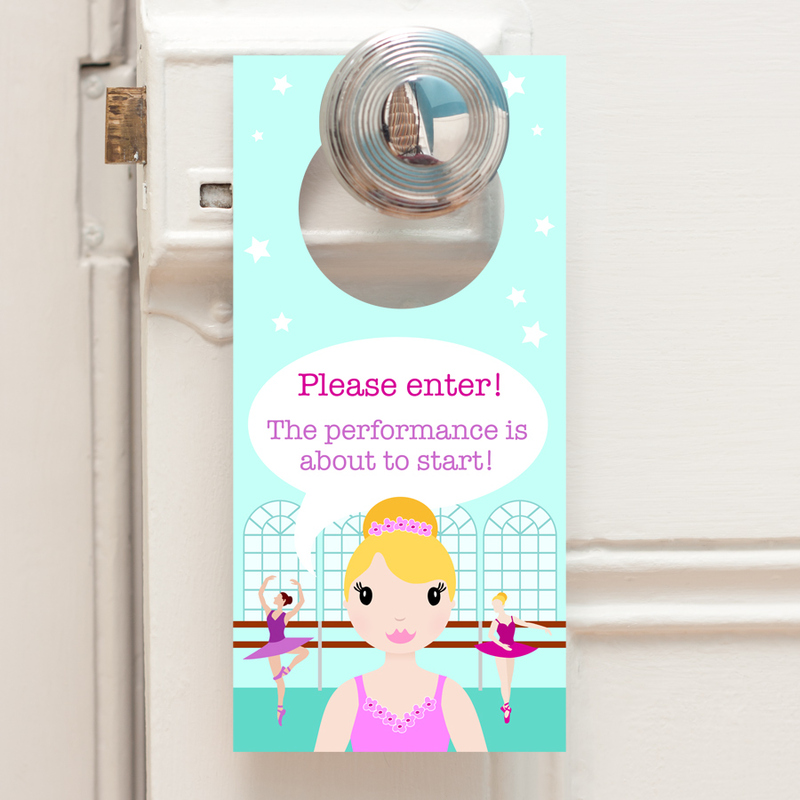 Be the first to review “Ballerina – Double Sided Door Hanger” Click here to cancel reply.